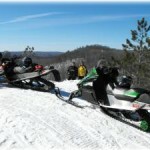 Iron County Snowmobile trails are groomed and reported by the "White Thunder Riders" & "Mercer Area Sno-Goers". Groomers are out at all hours, please keep your eye open for them and be courteous. 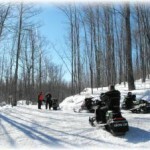 Iron County offers over 500 miles of groomed trails and 175,000 acres of off trail boondocking. As the Snow Capital of Wisconsin, the average annual snowfall often exceeds 200 inches giving Iron County the most reliable snow in the Midwest. Check out the snow cover map under the weather menu item or call for trail reports at 1-866-345-3866 or 1-715-476-7669. 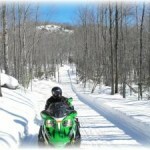 For more information or to request a Snowmobile Trail Map click here: Contact Us.